I wrote this post in January 2016 as part of my ongoing attempts to figure out how to serve in local church ministry in the midst of changing times, particularly where church attendance or involvement is far from what it used to be. That certainly means one set of things, but we must be careful not to think it also means another. As with many children my age, I looked forward to Saturday mornings the most. We grew up in the 80s and 90s, when that time of the week brought with it a ritual that by that point had been observed by kids across the country for a few decades. This ritual had a simple quality to it: we'd wake early in the morning, pour ourselves a bowl of our favorite marshmallowy cereal or unwrap a package of Pop Tarts, turn on the TV, and flip between the channels that showed cartoons. I fondly remember many shows from that era. I especially looked forward to The Real Ghostbusters, a cartoon based on the 1984 movie. Over the years the morning featured other film-based cartoons as well (Back to the Future and Beetlejuice come to mind), with varying levels of success. 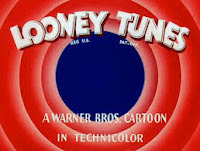 The classic Looney Toons characters were always prevalent, as were Ninja Turtles, heroes from DC and Marvel, Gummi Bears (oh yeah, a show based on a candy), Smurfs, Transformers, Care Bears, Garfield, and countless more. My parents weren't big fans of my sitting in front of the TV for so long every Saturday, but as a time-honored tradition in those years, I couldn't stay away. Part of growing up in that era involved keeping up with when your favorite shows aired, watching some of the others on principle, and breakfast that involved sugar. Lots and lots of sugar. My own children don't know this experience, at least not in the way that I did. For one thing, there are many more channels today than there were when I was their age. The main networks on which we relied to provide those large blocks of cartoons have replaced them largely with news shows, but so many other channels--even many devoted only to the animated genre--have filled the void. Kids today aren't beholden to only the "big four" to get their cartoon fix, and they don't have to wait until the hours of Saturday morning or right after school. The treasured ritual has passed away due to the innovation of the times. Those of us who lived it hold our memories close, but cartoon lovers today find satisfaction in different ways. In addition to those who mourn the loss of this Saturday observance, many lament the loss of a Sunday one as well. The drumbeat of books and articles and conversations and church council grumblings is constant: worship isn't what it used to be. Attendance isn't what I remember from years past. Sports teams and shopping and brunch and a host of other options have cropped up around this formerly sacred time of the week. As with Saturday cartoons, many of a certain era will recount how the sanctuary used to be full (or at least more full), how there seemed to be no end to the volunteers willing to step up to lead the bake sale, how everybody knew the hymns and memorized prayers. Now nobody does. Nobody remembers because so many other activities and interests have usurped this special hour, and people have taken after them instead. The Saturday morning experience many of us knew has ended, but that doesn't mean kids no longer watch cartoons. Instead, they find them in different places all week long, just on different channels, as well as on station websites and streaming services. The networks that served as gatekeepers to this experience have given it up, but cartoon-watching pleasure is still readily available and even in greater abundance than before. Churches also served as gatekeepers for spiritual experience for decades, even centuries: you show up on Sunday morning, you worship this way, you memorize these words, you sing these songs played on this instrument, you hear from the person up front in the robe. But along with the increased options to buy groceries and run the kids to soccer practice has also come the realization that many more opportunities for connecting with the divine exist outside of what many of us knew growing up. Many are discovering--or rediscovering--spiritual practices beyond Sunday worship, many of them long-observed and rooted in ancient tradition. Practices such as lectio divina, walking the labyrinth, meditation, and many others don't depend upon time and place. They also embody the notion that we can experience God in so many moments outside of the one set aside on a particular day. I'll be honest: I miss the days of eating toaster pastries while getting my weekly Ghostbusters fix. It was a fun and formative part of my childhood years and I'll always remember it with fondness and gratitude. Many may miss the prominent status that churches once enjoyed on Sunday mornings for similar reasons. But people still love and enjoy cartoons. And people still pursue a connection with God. It's just that the times have changed, what's available to offer that experience has changed and has become more varied and expansive. We can remember and give thanks for what used to be. But we can also give thanks for what's now possible.